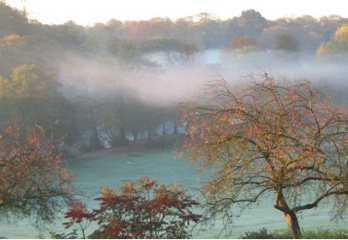 We are an Association of park users and local residents who are interested in the well-being of Manor Farm Park. Established in 1985 we work closely with the City's Parks Department for the improvement of amenities within the park. We do this through a Management Committee that is elected at the Association's Annual General Meeting, held in the summer. All fully paid up members of the Association will receive a copy of the Minutes recorded at Annual General Meetings and Extraordinary General Meetings, whether they were in attendance or not. Delivery will be by post (usually hand delivered to save costs) or email, whichever the individual member's preference is, as indicated on the membership information form. Two or three Newsletters are produced and distributed to some 1, 800 households in the immediate vicinity of the park each year. Again, as with the AGM Minutes, the Newsletter is delivered by hand or via an email link to a PDF copy. We are always happy to receive any articles that people might wish to submit for publication; although we reserve the right to edit any such submissions, yet we undertake to change the original as little as possible. If you have anything you would like to see in the Newsletter (or on this website), then please use the form on the Contact Us page. We liaise closely with the Birmingham City Council's Parks & Nature Conservation Services, through our elected Management Committee. We bring attention to items of concern to park users that may have been overlooked by the Department, such as holes in the planking of the various bridges for example, and other potential hazards. Our aims and objectives are listed in the Constitution. Also, we organize educational events, such as the Bat Walks; practical projects like the Step Building and Coppicing, (which were very successful) and annual events, such as Autumn Antics and a springtime event, which was called Spring into Summer in 2017 (to raise funds for the Association).